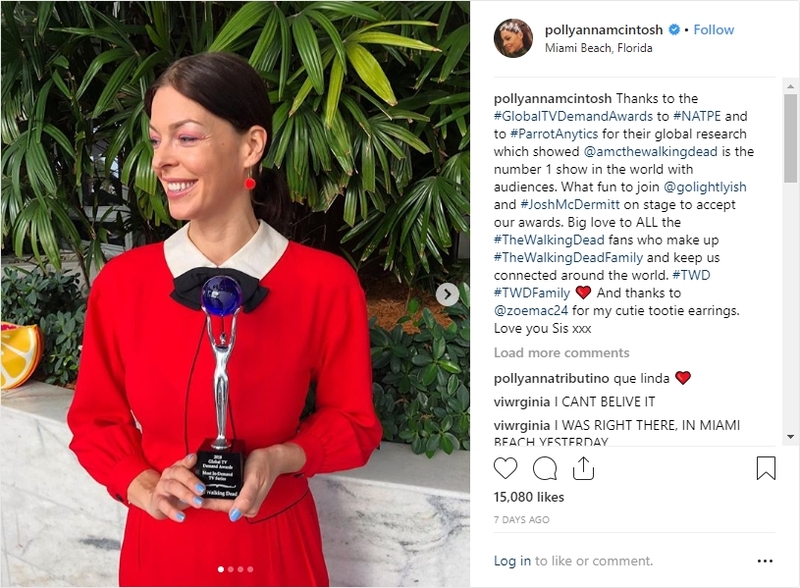 Parrot Analytics launches first-ever Global TV Demand Awards at NATPE Miami and announces The Walking Dead as winning series. 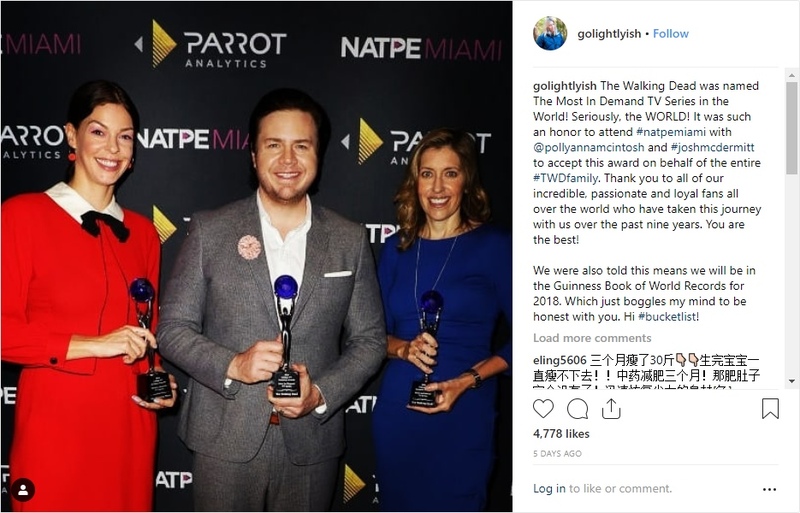 Parrot Analytics has named The Walking Dead as the most in-demand TV series in the world for 2018 at the inaugural Global TV Demand Awards at NATPE Miami. Series executive producer Denise Huth and actors Josh McDermitt and Pollyanna McIntosh were on hand to accept the award. 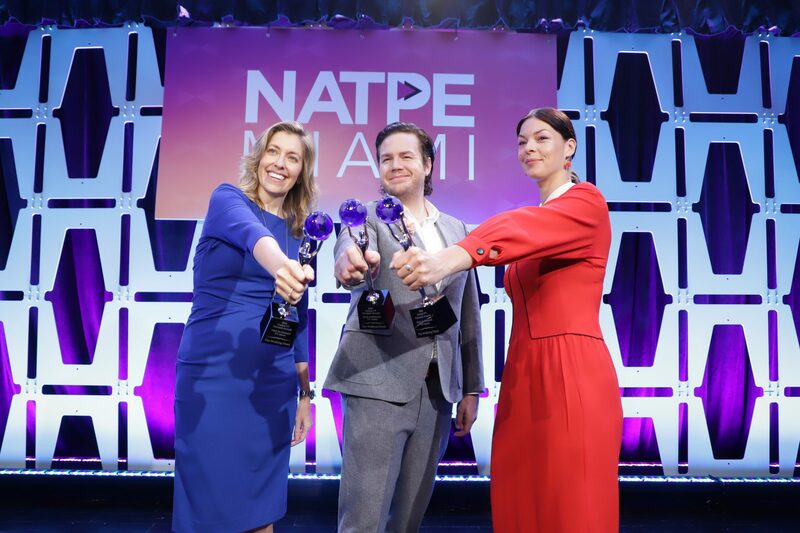 Marc Berman, founder and Editor-In-Chief for Programming Insider, started the event by introducing the award presentation to a large group of industry executives in the Fontaine Ballroom at NATPE Miami. Next, Adriana Cisneros, CEO, CISNEROS and Board member of Parrot Analytics shared some opening remarks. Cisneros then introduced Parrot Analytics CEO Wared Seger who explained the methodology behind the awards. Seger touched on the globalization of content and the increasing challenges facing the industry in an era of platform proliferation and audience fragmentation. “Today we’re here to celebrate, officially, the most popular TV show in the world,” said Seger, before introducing Courtney Williams, Parrot Analytics’ European Regional Director to the stage. Williams presented a ‘world tour of insights’ to the audience, highlighting various trends and insights uncovered by Parrot Analytics throughout 2018. (Download the Awards presentation here) “We wanted to give a sort of sense of what we’re doing and why we’re doing it. The underlying question for everybody in this room, what do consumers want to watch?, is about opportunity. It’s about how do we fill that white space? How do we market better? How do we drive better? How do we experience that discovery and generate that kind of passion that we have as an industry within all of our consumers?” said Williams. After Williams discussed insights relating to the massive impact of local productions in India and the worldwide travelability of European content, he turned the stage over to Rebekah Zabarsky, Parrot Analytics Product Marketing Director, who began the awards ceremony. Denise Huth, series executive producer, and actors Josh McDermitt and Pollyanna McIntosh from The Walking Dead were on hand to receive the award. “It’s really fulfilling for us to be able to create this show and to know it has such a large impact on the fans,” said McDermitt. Talent, producers and executives then gathered for a cocktail reception celebrating the announcement and awards. Visit the official Global TV Demand Awards website to learn more and check out the following articles on Deadline, Programming Insider, Advanced Television and TBI to learn more about the awards. Relive the moment the winners were announced: Use the “left” and “right” arrows to browse a selection of photos from the Global TV Demand Awards. The trophy of the Global TV Demand Awards. Afterwards, Seger and Huth spoke with C21 editor-in-chief and managing director David Jenkinson on the C21Media podcast which can be accessed here or via the play button below. Please note: This podcast contains spoilers for The Walking Dead, proceed with caution!